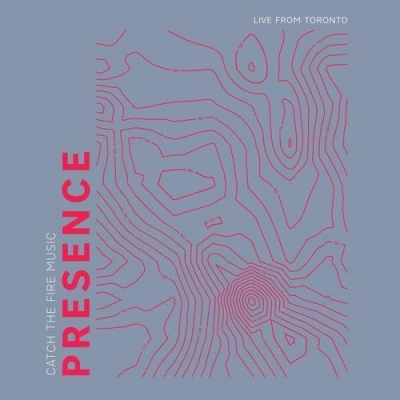 Catch The Fire Music, a ministry of Catch The Fire World, has released its debut collective album, Presence (Live From Toronto), with global distribution for the first time through The Fuel Music. Recorded live at Catch The Fire Toronto and featuring worship leaders from around the world, this full-length album highlights 10-songs that capture the raw, spontaneous, unfiltered worship of the Catch The Fire movement. These worship leaders returned this week to Catch The Fire Toronto, a thriving multi-cultural and multi-generational church, for the sold-out Revival 25 Conference that began on Tuesday and runs through today. Being live-streamed on YouTube, this global reunion event celebrates the 25th anniversary of what has become known as the Toronto Blessing, a revival that spread to hundreds of nations around the world and has been lauded as “the greatest thing that has happened in the Church over the last 100 years.” Also featured at this gathering are special guest speakers Heidi Baker, Bill Johnson, Brian and Jenn Johnson, Shawn Bolz, Banning Liebscher and more.